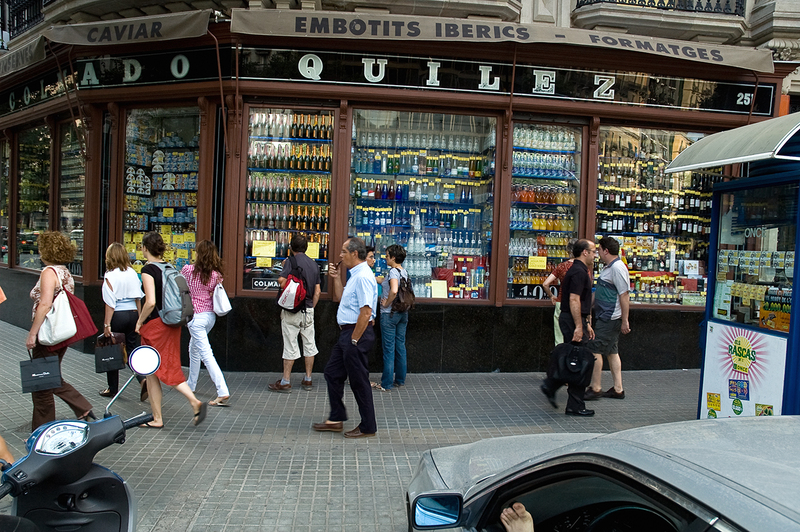 Located at Rambla de Catalunya 63 there's this old speciality grocer called Colmado Quilez. Besides the good customer service, the variety of high quality products makes this gourmet shop a must in Barcelona. You can find really good asparagus, anchovies, peppers, vinegar, caviar, foie gras, nougat and a long etc here. Not the cheapest place to buy but you can grab a thing or two. Maybe you prefer to sit in your car, put your feet on the wheel and contemplate the nice display of canned food and wine.